Official Google Australia Blog: Google Pixel 3. Make every day more extraordinary. Google Pixel 3. Make every day more extraordinary. , the new smartphones from Google. Pixel brings you the best of Google in a phone and is powered by AI to deliver more helpful, thoughtful, and enjoyable experiences. This means you can now enjoy a camera that uses AI to make sure you never miss the shot – and a more helpful visual and audio experience while charging, powered by the Google Assistant. Capture smiles, not blinks: A feature we call Top Shot uses AI to help you capture the perfect photo every time. When you take a motion photo, it captures alternate shots in HDR+, then recommends the best one—even if it’s not exactly when you hit the shutter, looking for those where everyone is smiling, with eyes open, and facing the camera. No light; no problem: Pixel 3 lets you take natural-looking photos in dark surroundings, all without a flash. With Night Sight, you can take bright, detailed, colorful shots around the campfire, in a moonlit forest, or a selfie after you close out the bar (coming soon). Look … no hands! Photobooth mode uses AI to recognise that when you’re smiling or making a funny expression, you’re ready for a selfie. It snaps the photo on its own so that you don’t need to reach for the shutter button—a good option for candids. Even more stunning portraits, front and back: When you take photos in Portrait Mode, you can change the blurriness of the background, or change the part of the picture in focus, after the fact. Google Photos can also make the subject of your photo pop by leaving them in colour, while changing the background to black and white. Create and play: In Playground, you can make photos, selfies, and videos come to life by adding your favourite superheroes, animated stickers, and fun captions. In celebration of Marvel Studios’ 10 Year Anniversary, you’ll enjoy seeing the characters from the Marvel Cinematic Universe (exclusively on Pixel) react to each other and to you. New packs for Weather, Pets, Sports and Signs let you have everyday fun, and coming later this year, you'll be able to sharpen your dance skills with moves from Childish Gambino. Super smooth video: When you want to capture something that won’t stop moving—think an adorable toddler or your new puppy—Motion Auto Focus will make sure your Pixel 3 camera stays in sharp focus automatically, as you record. And if you happen to be taking a selfie video while walking or moving around, Pixel 3 brings you front-facing video stabilisation. With Pixel 3, you can save all your favourite moments with unlimited online photo and video storage. ** It’s hassle-free, you don’t have to think about back-ups. Come back to Google Photos later and search for the beach photos you took on your Pixel 3, and they’ll pop right up. If you want to know more about something you’re looking at, use Google Lens, built right into the Pixel 3 camera. You can now long press in the Pixel 3 camera to easily invoke Lens to scan and translate text, find similar styles of clothing, or identify popular plants and animals. When you point your camera at information you want to remember or don’t feel like typing in—like a URL or QR code on a flyer or an email address on a business card—Google Lens suggests what to do next, like calling a number, going to the website, or creating a new contact. You can count on even more help across other apps too, including Gmail’s Smart Compose, now available for mobile on Pixel 3. Smart Compose suggests phrases in your emails so that you can draft them faster, on the go. Gboard, the keyboard built into your Pixel 3, will recommend GIFs, stickers, and more, to make your conversations fun and engaging. Available first in English. Our phones, while probably the most important tech in our lives, shouldn’t control our lives. So Digital Wellbeing, a suite of tools to help you find your own balance with technology, is built into Pixel 3. It includes a dashboard to help you understand how you spend time on your phone, the ability to set time limits on specific apps, and a new Wind Down mode to help you get to sleep at night by gently transitioning your display to a grayscale screen. When you don’t want to be bothered by rings or notifications, just flip to Shhh— an easy gesture that turns on Do Not Disturb and minimises distractions. Pixel 3 comes with an 18 Watt fast charger in the box, which can give you up to 7 hours of use in 15 minutes of charging. **** With our AI-powered Adaptive Battery technique, Pixel 3 prioritises battery power for your most important apps to help make your phone last all day. Alongside Pixel 3, we’re also introducing Pixel Stand, our new, Qi compliant wireless charger (sold separately). While charging in the Pixel Stand, your phone turns into a smart visual and audio experience powered by the Google Assistant, similar to Google Home Hub. It answers your questions, plays music, helps you control smart home devices, transitions into a photo frame when idle, and much more. If you set an alarm, your screen will gently brighten over 15 minutes before your alarm goes off, mimicking the sunrise and helping you wake up naturally. Pixel 3 is IP68 water and dust resistant and has a security chip custom-designed by Google called Titan M, making it the most secure phone we've built yet. Titan M enhances mobile security by protecting your unlock credentials, disk encryption, app data, and the integrity of the operating system code itself. Powered by Android 9 Pie, Pixel 3 comes with the latest Android operating system. 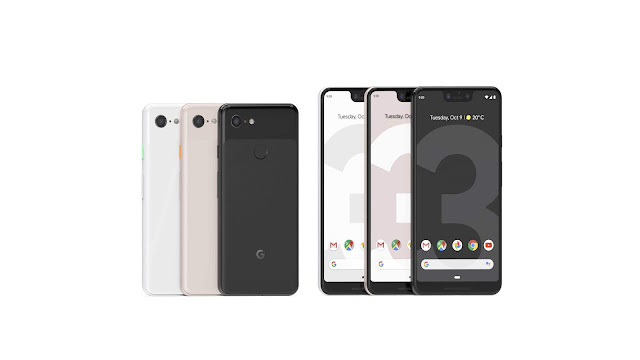 You can choose from two sizes - the 5.5” Pixel 3 and the 6.3” Pixel 3 XL - and three colours - Just Black, Clearly White, and Not Pink. Both have the exact same feature set and include a high quality Pixel USB-C earbuds and a USB-C Digital to 3.5 mm headphone adapter in the box. Pixel 3 and Pixel 3 XL come with dual front-firing speakers tuned by a GRAMMY®-winning music producer to turn your phone into a powerful speaker. Eligible customers who activate a Pixel 3 or Pixel 3 XL by December 31, 2018 can get a 6-month trial of YouTube Music Premium on us (restrictions and terms apply). Pixel 3 will be available for pre-order today and on-shelf from November 1 at Optus, Telstra and Vodafone – as well as JB Hi-Fi, Harvey Norman and the Google Store. Pixel 3 RRP starts at $1199, Pixel 3 XL RRP starts at $1349 and Pixel Stand RRP is $119. 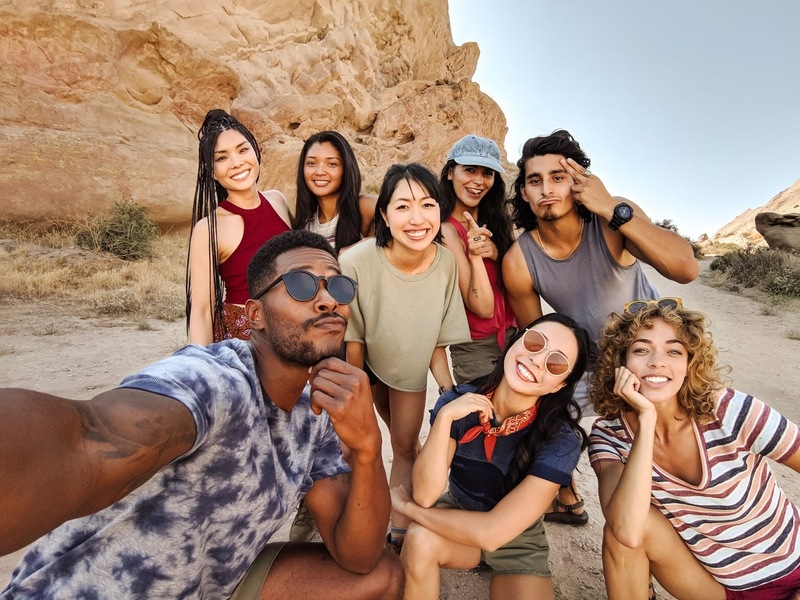 *Pixel 3 Group Selfie camera captures up to 184% more area of the scene than iPhone XS based on EXIF data from each camera. iPhone is a trademark of Apple Inc. registered in the US and other countries. Results may vary. ***Google Assistant and Google Lens require internet connection to use certain features. ****Approximate battery life based on a mix of talk, data, standby and use of other features with always on display off and mobile hotspot off. An active display or data usage will decrease battery life. Charging rates are based on use of the included charger. Charging time performance statistics are approximate. Actual results may vary. Today we’re introducing Pixel 3 and Pixel 3XL, the new smartphones from Google. Pixel brings you the best of Google in a phone and is powered by AI to deliver more helpful, thoughtful, and enjoyable experiences. This means you can now enjoy a camera that uses AI to make sure you never miss the shot – and a more helpful visual and audio experience while charging, powered by the Google Assistant.